The wellness world is usually more concerned with products you can put on your skin or hair, but the new trend taking over Instagram actually serves the dual purpose of making your home look super gorgeous, while also spreading some seriously good vibes. 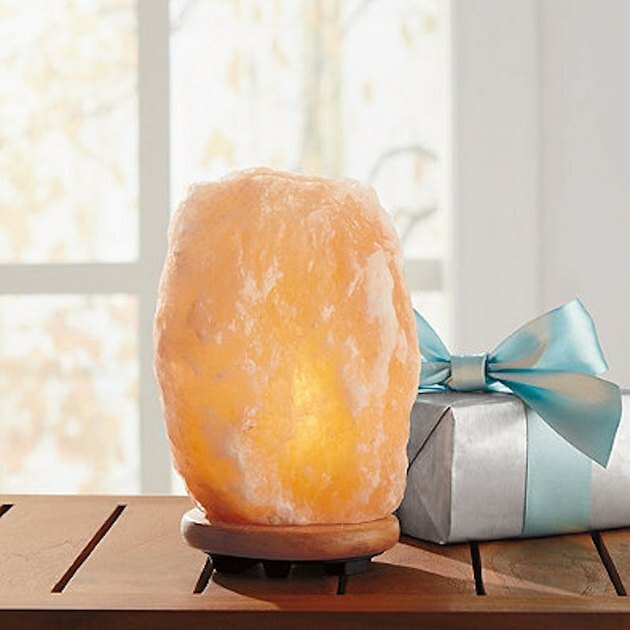 Introducing Himalayan salt lamps: These beautiful, radiant orbs are essentially large pieces of pure Himalayan salt with bulbs inside. 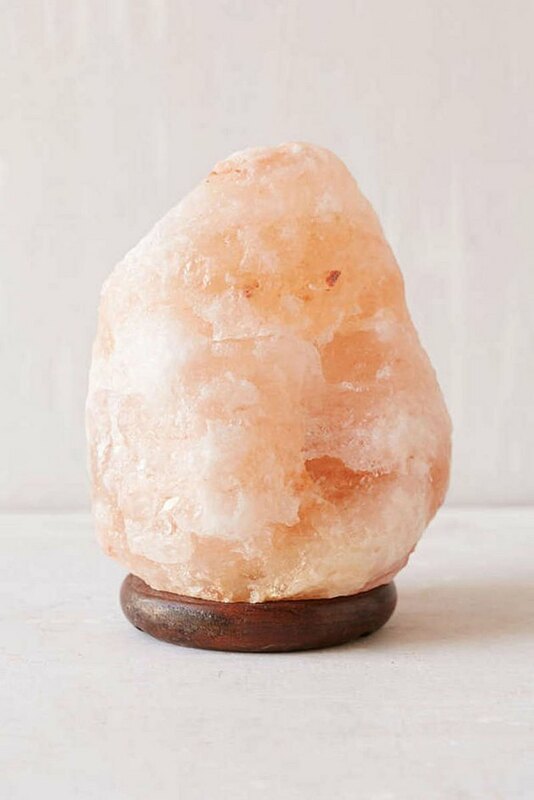 Himalayan salt claims to have a host of different benefits when ingested, including balancing one's PH levels, reducing blood pressure, and improving sleep—but when heated, the salt reportedly gives out negative ions in the air. Why is this so important, though? Well, at any given time, there are both positively and negatively charged air particles, also known as ions, in the air. Negatively charged ions react with the positively charged electrical items in your home, like chargers and vacuum cleaners, to neutralize the air and clear it of toxins. 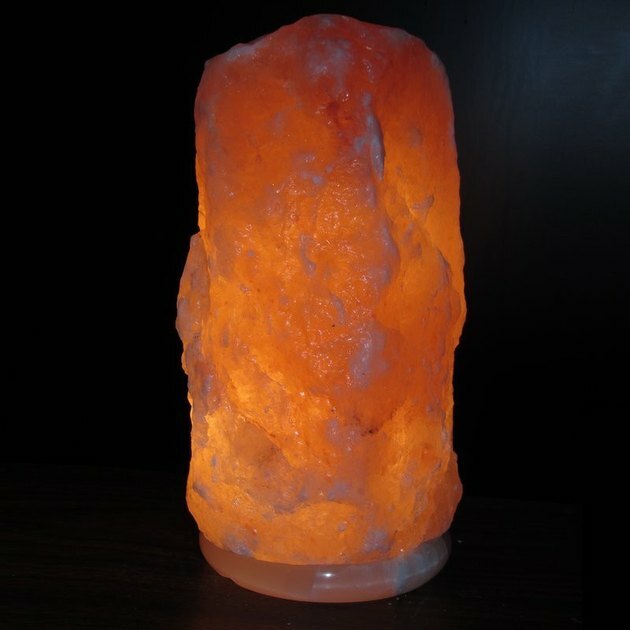 Laura Benko, holistic lifestyle expert and author of the book, The Holistic Home: Feng Shui for Mind, Body, Spirit, Space, explains, "Himalayan salt lamps clean the air of pollutants, even electronic pollution that's generated from phone chargers, laptops, alarm clocks, televisions—anything that plugs in. This unique attribute makes for a healthier environment, where you inexplicably just feel better." Not to mention, the luminescent light they release makes you feel all warm and fuzzy. Since Himalayan salt is naturally pale pink (dare we say millennial pink?) in color, the yellow light from the bulb inside will envelope your entire home in a soft glow that will instantly calm your racing mind, all while benefiting you physically. A budget-friendly option, this lamp comes with a dimmer so you can adjust the brightness depending on the weather outside. This lamp might be small, but it's a steal at the price. It would also look super cute on your living room table. This one comes in both peach and pink, allowing you to decide what shade you'd like your home to glow. 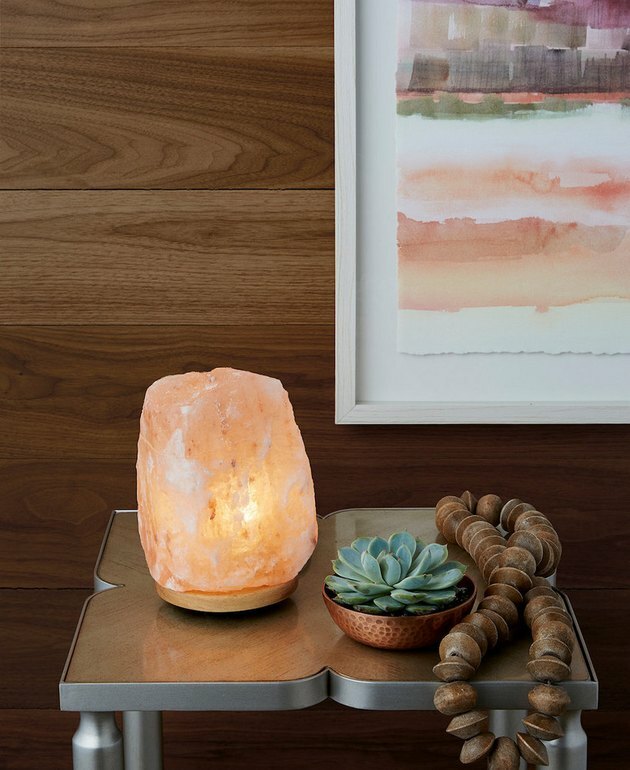 For a true splurge, this lamp from Wayfair boasts an onyx base, and has been hand-carved from a crystal salt block found at the foot of the Himalayas.